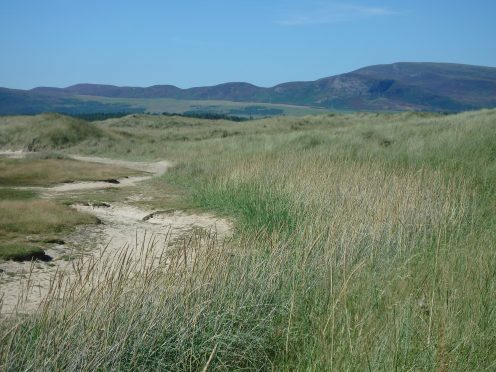 Ramblers Scotland and ScotWays plan to tell a public inquiry in Dornoch that the proposals threaten to permanently transform Coul Links near Embo in Sutherland. They claim it will cause negative impacts for the landscape, informal outdoor recreation and public access rights at the protected site. Helen Todd, Ramblers Scotland’s campaigns and policy manager, said: “Coul Links is hugely valued by people seeking to enjoy solitude and nature amongst its wild and special dunes. “These ill-conceived plans could restrict public access and harm visitors’ and residents’ enjoyment of the area. The first phase of the inquiry began on February 26, focusing on ecological issues. A coalition of seven conservation charities including RSPB Scotland, National Trust for Scotland and Scottish Wildlife Trust argue that the plans seriously threaten biodiversity and wildlife. The inquiry was called after Highland councillors voted in June 2018 to grant planning permission for the course, despite their own officials advising them to refuse.